Hello Friends! Happy Tuesday! I'm flying in real quick to share a Halloween card. I didn't have a lot of time for this type of card this year, but I managed to squeak one out before the end of the month. 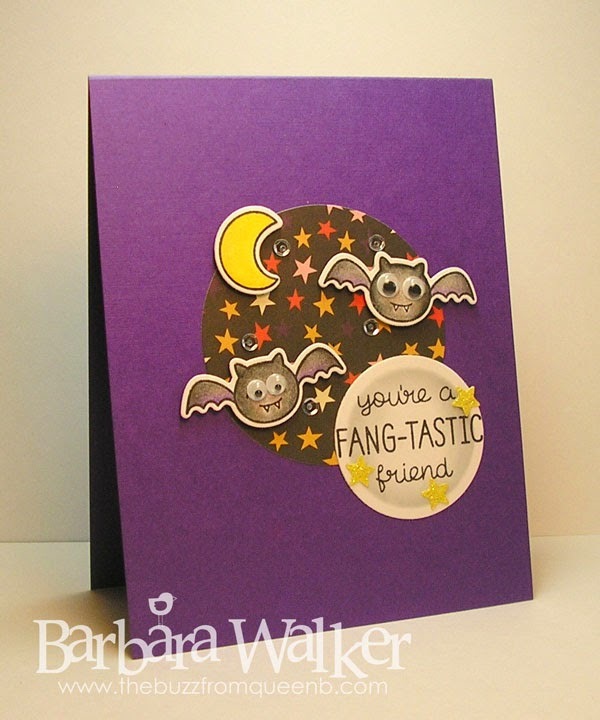 I used the super cute Spooktacular stamp set and coordinating dies from Lawn Fawn. Nice and simple inside, too. 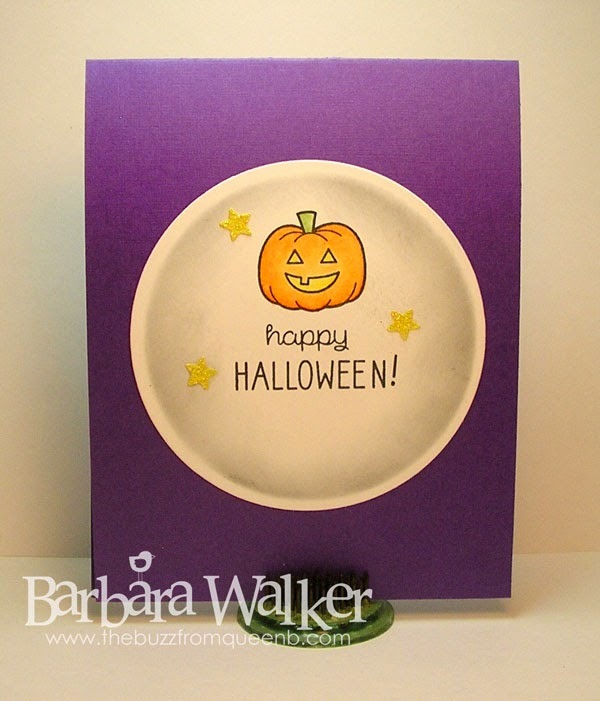 I cut a large circle with the Nestabilities die, sponged it with black ink and stamped the pumpkin. I colored this image with Spectrum Noir pencils from the Essentials set. And again, I blended them with Gamsol and a blending stump. I added clear WOS to the yellow parts to make the Jack-O-Lantern sparkle and shine. A few more glittered stars and the greeting finished off the panel. I can't believe that October is almost over! That's all I have to share today. Thank you so much for stopping by! 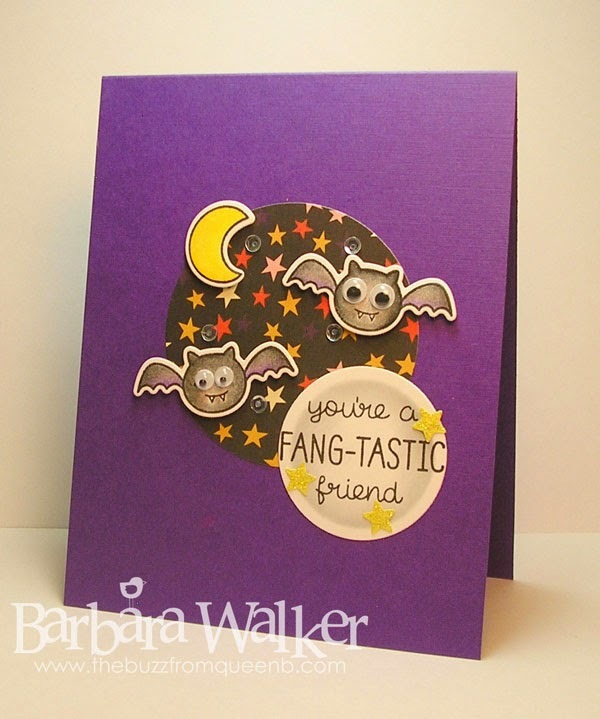 What a wonderfully fun and festive card, Barb! I'm so glad you were able to create one. It's a winner. Your coloring is terrific and googly eyes are just plain fun! Great job!